This creamy/white limestone flooring tiles with its subtle oatmeal flecking and consistent uniform colour mades it a popular choice in both contemporary and classical settings. 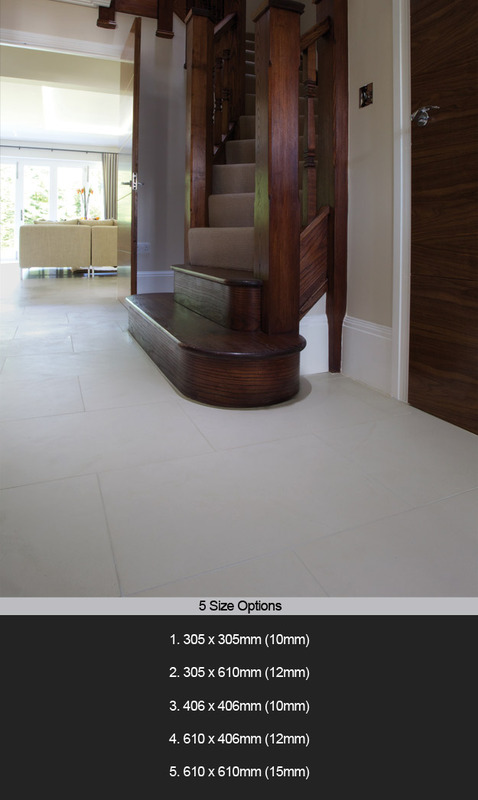 All our limestone flooring tiles are priced excluding Vat. * Well manufactured stone tiles. * 5 x stone tile sizes. * Suitable for domestic situations.